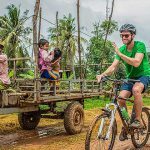 In this Cambodia cycling tour in 5 days, you will be taken more than you can imagine. This tour focuses on getting closer to the landscape and the locals with your bike. Hope you will have an unforgettable time in Cambodia. Day 05: Countryside Cooking Class – Ends Trip. In the morning, the English speaking guide will meet you at the airport and take you to the hotel to check in. 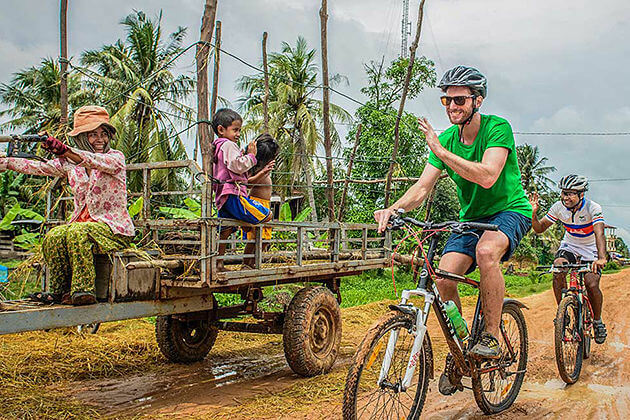 You have some free time to take a rest before beginning your cycling tour at 2 p.m when you will be taken to escape town and experience the local livelihoods from the rice fields, rice mill to local market and mushroom farm. Dinner at a local restaurant before head to Phare Circus telling the history of Cambodia through a mix of music, dance, and acrobats. 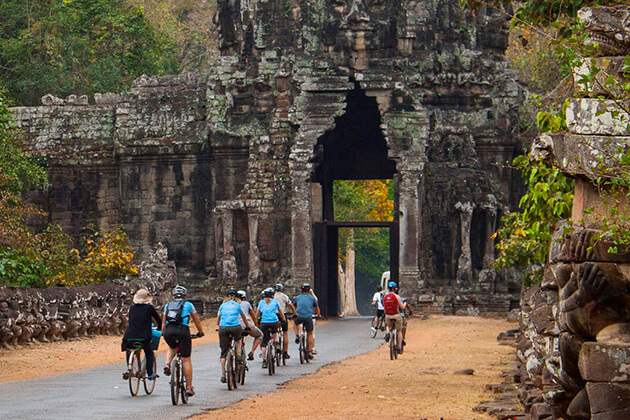 After breakfast, cycling to Ta Prohm, the first destination in your itinerary today. The unique point is that it has been overgrown by jungle trees and vines. 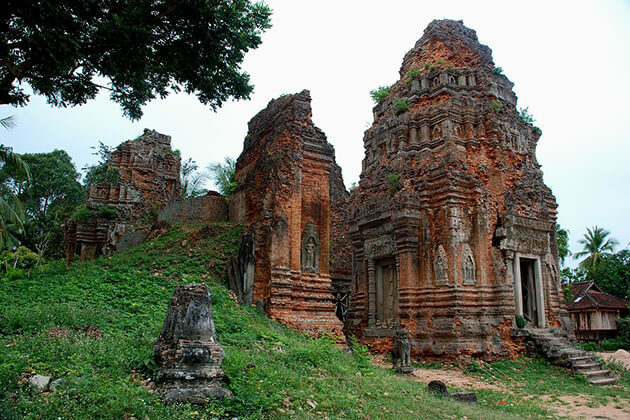 It is also called as Tomb Raider Temple as it was used during the filming of the movie. After that, you will head out to the ancient city of Angkor Thom, continue to Bayon Temple, the Terrace of the Elephants and the Terrace of the Leper King. Have lunch at a local restaurant. 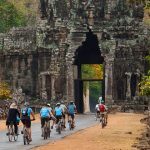 End your Angkor cycling tour by riding to the gem of the Angkor complex, Angkor Wat with your tour guide who will explain the rich history and symbolism of this unique ancient temple. 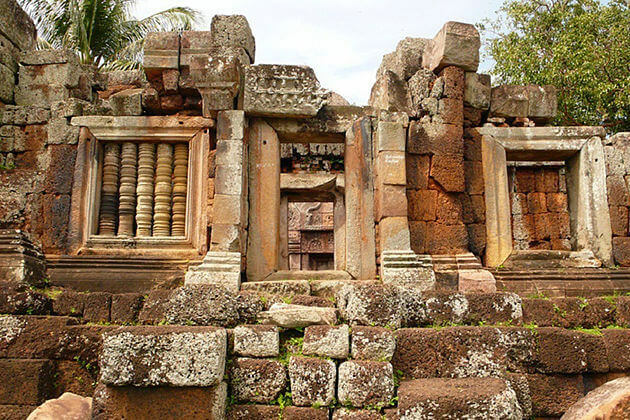 Spend your the morning on the adventure ride passing the scenic land all the way to Banteay Srei temple, crossing the local markets, schools, Buddhist temples. 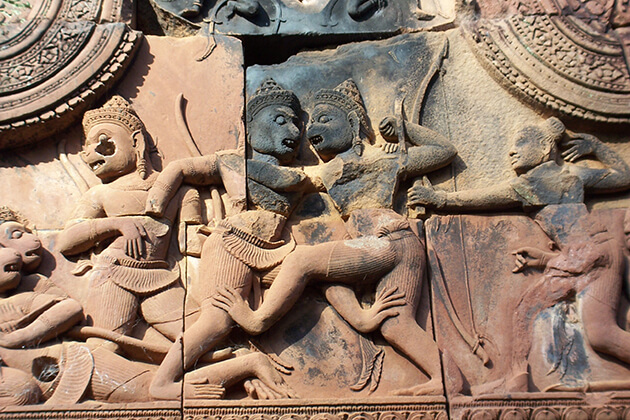 When you arrive in Banteay Srei, you may be interested in exploring the incredible temple “Citadel of the Women”. Then you will trek into the jungle trail toward the waterfall and the River of Thousand Lingas. Return back to the town in the evening. Cycle 15 km in the morning toward Rolous temple which was the center of Khmer civilization, consisting of 3 main temples: Lolei, Bakong, and Preah Ko. Have lunch at the temple complex then cycling to the floating village in the Tonle Sap lake where you can see how the locals live on the water. Transfer back to town. In the morning, go to a village cooking class in Siem Reap to learn more about Cambodian cuisine including a visit to the local market. You may learn with a private chef in their countryside kitchen. At the same time, it will be a great chance to get to know the cultural traditions of several small rural villages. 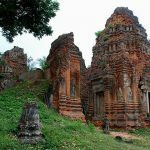 Afterward, let yourself free until transferring to the airport and ending your amazing 5-day adventure tour in Cambodia.